Long-term Soma collaborator Tony Scott drops his debut album with the label under his Edit Select alias, the perfectly crafted experience, 'Cyclical Undulations'. Having released with Soma under his Percy X moniker for years and having countless hits under his belt, Scott reinvented himself as Edit Select. Known for his dark, expressive and expansive music, Edit Select has become once of the most well respected and renowned artists in the genre. With this latest full length, he continues to explore the furthest reaches of the Deep Techno spectrum. The Cyclical Undulations journey begins with Insta Grain, a mesmeric odyssey of ebbing pads and sparse percussive elements that seem to drift of into the expanse. A perfect opener before the first foray into more 4x4 territory begins with Above Ground a pulsating affair before Two Step Phase, a more stripped back affair, reminiscent of earlier Percy X works in it's 90s heyday. Undulation, more propulsive in it's approach, melds warping synth hooks alongside spectral tones. Horizon#1 follows in a similar vein yet drift into slightly more hypnotic territory as recurrent tones lead the track. Scott flourishes with yet more machine-throb crafting Close Up & In The Beginning She Was, both stacked with subtle nuances of his stylised percussion lost across dream like states. The later half of the album has a distinct minimalistic approach yet seem to provide maximal output with every beat. Horizon#2 is dark and ominous yet still characterised by a tough percussive element. Contact, produced in collaboration with Claudio PRC, delves into more submerged sounds with heavy sub bass and echoed drums, finishing of with Towards The E; a shuffling broken beat affair with after hours vibes and an endearing ethereal quality. 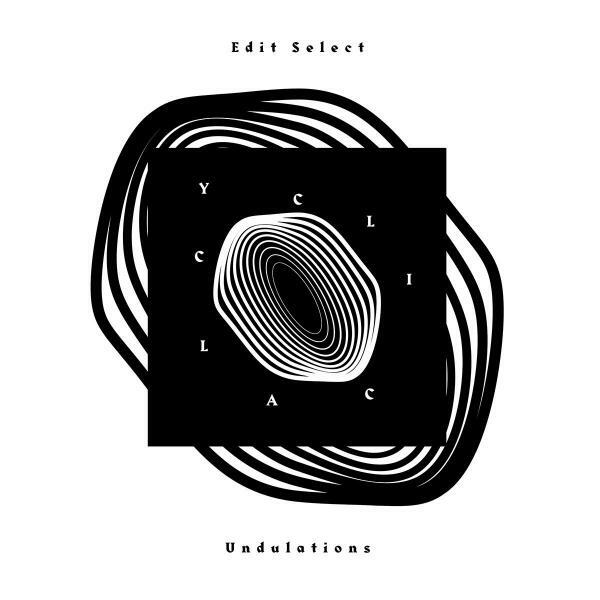 Cyclical Undulations demonstrates a mature sense of production from Edit Select. An assured collection of material, each track providing a striking insight into a true artistic mind.